So you’re thinking about doing Teacher Training? You’re in the right place. Choosing who to train with is a big decision. It’s not just about the financial cost, or the training location, or the timing. It’s about the people leading the training and the philosophy behind what they do. We’ve created this Guide to make your research that much easier. This is your one stop shop to NZ Yoga Teacher Trainings, with a variety of styles represented. You can easily browse through all the trainings on offer and get a good feeling for who you might want to train with, and then contact the provider direct for more information. We’ve also included a selection of relevant articles down below that may help you make a more informed decision on which training is right for you. Finally, over the years we’ve often done interviews or written articles about many of the training providers. Use the search bar on the home page to uncover those articles. How Do I Know if a Yoga Teacher Training is Good Value for Money? How To Get The Most Out of Any Yoga Teacher Training – Ask Questions! 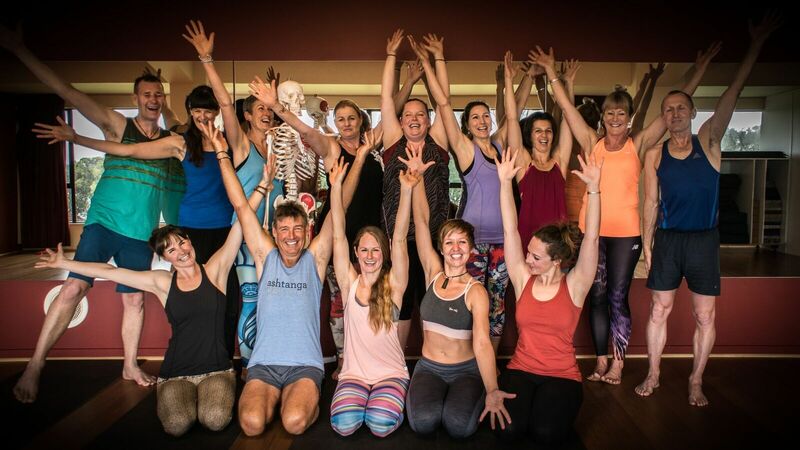 We compiled this guide by scouring the NZ Yoga scene to find all the current teacher trainings, and then invited every training to participate. Not all trainings wanted to be included, so it doesn’t include every training in the country. There is an administration fee for inclusion. If you run a Yoga Teacher Training in New Zealand and would like to be included in this guide, click the button below to contact Lucinda. Contemporary Yoga offers in-depth Advanced Yoga Teacher Training modules, most of which take place over 8 days (two lots of 4 days) – approximately 72 hours of teaching each. Full details and dates for all these modules can be found on our website. These courses are suitable for all Yoga teachers and students may. Individual modules can be taken to suit your own calendar, or as stand-alone Professional Development courses to upskill, deepen and further your Yoga practice and teaching. The modules may be taken in any order and over a number of years. Our 200-hour training plus 2 modules enables one to register with Yoga New Zealand 350-hour. Our 200-hour training plus 4 modules enables one to register with Yoga New Zealand and/or Yoga Alliance E-RYT 500-hour. Restorative Yoga – the art of resting – is now a key component in many yoga classes. On this course, you will learn how to teach Restorative Yoga and how to integrate restorative poses into your classes. Along with in-depth theory, much of the course is spent practicing and sharing restorative practices. We learn the principles of somatic movement, diving deep to see how adaption to life circumstances creates difficult movement patterns, difficult emotional patterns and unhealthy organ function. The course incorporates Buddhist principles and practice, in particular, the foundation practices of mindfulness, Tibetan Kum Nye yoga exercises and the four Brahma Viharas; loving-kindness, compassion, sympathetic joy and equanimity. We are very excited to announce a new module coming in 2019 – eight days of the most comprehensive in-depth Natal Yoga training available in New Zealand, led by top experts in this field. Full details on our website. In this course, we offer a deep exploration into the primary developmental movement patterns that shape our growth from infancy to adulthood. We investigate how these natural movement patterns may profoundly inform our Yoga practice – we learn how to move with complete easefulness and stability. We are also planning a Kids and Teens Yoga Teacher Training program for 2019 – full details will be on our website. $5750 (incl GST) earlybird price before 10 February 2019 or $6000 (incl GST) after 10 February 2019. Monthly payment plans available. 12 Day Intensive: Evolve as a Teacher: Therapeutic Elements of Yoga: 28th February – 11th March 2019. All trainings are held at Kawai Purapura Retreat Centre, Auckland. Costs for each 150 hour module: $2595 early bird price, $2995 full course fee. Book both 150 hr modules for a special price: $4,995.00 early bird price (until 31 December 2018), $5,400 full course fee. The prerequisite for this training is a Yoga Alliance accredited 200 Hour Teacher Training. The additional 300 hours are offered in two distinct modules of 150 hours each. The modules can be taken as one continuous training, or separate modules over a number of years. The modules can also be used individually to upskill and develop professionally. This 150 hour advanced training is dedicated to deepening practice, refining teaching skills and continuing the journey of self-mastery in order to help others. Existing yoga teachers who participate in this training will expand their professional skills set and evolve their personal practice. You will be taken on a journey from in-depth mechanics and functional anatomy through to the subtle practices related to Chakras, Gunas and Koshas. The key practices of this module are Yoga Nidra, basic breathing methods and restorative yoga postures. All these practices reduce stress and anxiety, and engender feelings of relaxation and calmness. Swami Karma Karuna is the main Teacher of the Yoga Nidra & Restorative Yoga module. She brings a wealth of experience and expertise and readily engages her students with her genuine warmth and compassion. 4 Modules spread over 1 Year (240 Hours) + 25 Hours Mentored Teaching + Non-contact hours: Independent Student Study occurs throughout the year including the final written exam. Cost per module: $1100. Early bird payment for Yin: $950 before 30th September 2018. Payment options are available. Om Yoga Studio’s +300Hour Advanced Yoga Teacher Training, gives the student a broader and deeper set of skills and insights, not only to take into their personal practice, but also into their individual teaching. Our lead teachers are highly experienced and passionate about yoga and want to share this incredible transformational journey into deeper study of self and others. In this course you will develop the art of creative and meaningful sequencing to create purposeful and powerful practices for students and for yourself. In this course you will learn in-depth knowledge of Yin from a varied perspective: including physical, meridians and mindfulness. Dive deeper into functional anatomy and the biomechanics of the axial and appendicular skeleton. In this course, we will dive deeply into Patanjali’s Yoga Sutras and the Bhagavad Gita, and learn how to teach advanced Pranayama techniques. May – August 2019. Urban Ashram, Auckland. Dive into this comprehensive training offering an authentic, highly informative and sustainable way for you to deepen your understanding of the practice, science, art and philosophy of yoga. This longer 250hr Yoga Alliance certified teacher training provides a solid foundation to become a confident teacher of yoga, informed with current knowledge and discovering depth in one’s own personal practice. This training is spread out over 4 months offering a unique experience to receive tutoring and guidance from one of New Zealand’s most well respected and successful yoga teachers. You will learn functional anatomy, alignment and assists to be able to deliver safe, effective and meaningful classes. Whether you want to go on and teach in studios or simply share with family and friends, you will emerge ready to guide others in this practice, to rediscover happiness and joy in their lives. From sharing the practice with others, we, in turn, learn even more about ourselves. Passionate about yoga? Inspired to share and teach? Dive into the foundations of anatomy, alignment and movement in a way that is safe, stable, easeful and empowering with a faculty of passionate, experienced and inspiring teachers. With every breath and movement, you’ll be supported to find your own feet, resource strength from within, and give voice to the passion that calls you to share. Nine modules starting in early 2019 & 2020 in Motueka. Our Dru Yoga course trains you to be a safe and confident yoga teacher and provides a journey of self-discovery that takes your practice to a new level. Dru Yoga combines potent flowing sequences, breathwork, positive affirmations, visualisations and ancient subtle energetics to create transformative mind/body yoga. On our in-depth yoga course, you’ll get instruction in structural alignment, core strengthening, yoga energetics, yoga philosophy including bhakti, and you’ll learn comprehensive modifications for all ages/abilities. We’ve been teaching Dru yoga and meditation in Australia since 1999 and are YA registered, IYTA recognised and highly regarded internationally. We also have different payment schemes to suit your budget. We take our yoga off the mat with our not for profit projects, peace initiatives Ayurveda and volunteering. So why not join a global yoga community that wants to make a difference to the world? Go deeper into the practice of Yoga, and what that really means for you. If you’re interested in deepening your yoga knowledge, expanding your toolbox for life and being part of a like-minded community, RISE Yoga’s immersion programme is for you. It’s a safe and nurturing environment for exploration and self-discovery, with the highest quality of yoga education. In RISE Yoga’s immersions, we choose a beautiful natural setting and bring together a limited-size group of curious people who are ready to question, explore and shake things up. We cover all the essential elements: yoga asana, meditation, pranayama, mantra, philosophy and self-study, embodied anatomy and human purpose – and cater to all levels of yoga experience. We create spaces where we feel fundamentally at home within our bodies. We inspire hope, belief and trust. We move and be moved, challenge and be challenged, with the perfect blend of practical knowledge and spiritual purpose. If you’re considering teaching yoga, by the end of our 100-hour Immersion you will know what the right next step is for you. If you decide to teach, the next step is to add on a RISE Yoga 100-hour Teacher Training (which, combined with your 100-hour Immersion, gives you the required 200-hour teaching certification). 18 April – 4 May 2019, Nelson. Our Yoga Alliance International accredited 200hr Yoga Teacher Training course is for those starting their journey to becoming a teacher, or for those simply wishing to deepen their own personal practice. The well thought out curriculum will provide you with the skills to practice and teach consciously and insightfully from your own embodied knowledge, covering The Eight Limbs of Yoga. You will gain deep insights into yourself and others, grow in confidence, presence and the ability to share and live from your heart. With Chai’s in-depth knowledge of anatomy and alignment and passion for yoga philosophy and history, a strong foundation is set for students, complemented by studying class sequencing, teaching skills and practice. The course is unique in offering a strong focus on self-esteem, working with the More To Life Foundation, introducing tools to enable students to live, grow & teach with new found confidence & courage. The training program will enrich your practice and ability to teach and live authentically. A 14-week course that includes 12-week correspondence from home and a 13-day onsite immersion. Immersions: November 16th – 28th 2018, April 12th -24th 2019 & November 15th – 27th 2019, Golden Bay, NZ. $3498 all inclusive. Earlybird $3190 if paid in full 12 weeks prior to start date. In this comprehensive Yoga Alliance registered teacher training we empower you with the skills that will enable you to practice and teach yoga competently. We hope to nurture you on the transformative and life-enriching path of self-discovery and in guiding others in this process. Golden Flow Teacher Trainings impart tools that are quality, professional, intelligent and will enhance your practice and teaching skills. As well as those who intend to teach yoga, we also welcome those who would like to deepen their own yoga journey or seek a path to general health and well-being. The Golden Flow Yoga training is a fusion of all aspects of yoga. It brings together the alignment and attention of Iyengar, the breath and Prana flow of Vinyasa and the lifestyle and philosophy of exploring and living the Eightfold Path. Students will learn to capably instruct a solid and safe Hatha-style class and then have the freedom and encouragement to find their own intuition, flow and pathways within that. It’s not just about learning asana – this is a holistic, wholehearted transformative experience that will deepen the student’s yogic knowledge, teaching and practices. We also offer a 300Hr Yoga Teacher Training. Find out more here. $4250 (incl GST) early bird price before 10 Feb 2019 or $4500 (incl GST) after 10 Feb 2019. Monthly payment plans available. The 200 Hour Yoga Teacher Training is dedicated to helping you establish a solid foundation to becoming an inspiring and skilled teacher. It trains you in the ancient traditional approach to yoga practice and extends your journey into the modern evolutionary pathways of yoga, exploring the richness of the relationship between body, mind and movement. You will gain enough in-depth knowledge and understanding of each of the eight limbs of yoga to be able to connect with the origin of yoga and the teacher within. The Yoga Teacher Trainings at Kawai Purapura consciously provide for one main, highly qualified Senior Lead Teacher that guides you through the training, holds the space for the group and coordinates your education. Throughout the training there a range of excellent guest teachers that help carry the group. Kawai Purapura is a Yoga Alliance recognised yoga school that applies yogic wisdom in all areas of life. 10-weekend schedule over the Spring Semester. A new “Block” itinerary which will meet twice over the Fall Semester: Feb 23 – March 3, 2019, & April 27 – May 5, 2019. Trimurti Yoga NZ is proud to bring the multi-style training of our internationally renowned school in India to Dunedin, New Zealand. This course focuses on three main styles of yoga (Hatha, Ashtanga Vinyasa, and Vinyasa Krama) and touches on many, many more. There is literally something for everyone! We will dive deep into Anatomy & Physiology, Yogic Anatomy, Pranayama, Yogic Tradition/Philosophy, Yoga Nidra & Meditation, Patanjali’s Sutras, The Art of Teaching, Alignment & Adjustment, and explore the many ways a yoga practice can support your health and wellness daily, whether or not you plan to teach. This program is affordable and accessible, meeting on weekends, so you don’t have to put your world on hold. Come learn valuable life skills in a comfortable, supportive environment, and make friends for life. This TTC has been called a Total Transformation Course for good reason! Trimurti Yoga NZ will also run shorter training modules for Continuing Education Credits on topics like Yoga Nidra, Ayurveda, Advanced Anatomy, Yin Yoga, and more. Check the website for the full 2019 schedule. Plus, we also have 200hr & 300hr hour trainings in Bali on the horizon, click here for more info. Read the testimonials on our website or check out our reviews on Facebook. To enrol, fill out an online application here. Interested in specializing in a particular area of Yoga Study? New to JAYA for 2019, our 100-Hour Specializations will launch you into an in-depth course of study within a chosen niche market of yoga. Carried out in a 3-weekend format, these mini-courses are a fantastic add-on to your existing foundational certifications, or can be used to greatly deepen your understanding around a subject. Dive into the depths of understanding of why Yoga has become a female-dominant practice. Through this work we aim to support the ‘modern-day superwoman’ through her journey of menarche, from first menstruation to becoming a woman of wisdom through menopause. Specialized topics include yoga for menstruation, fertility, pregnancy, postnatal, mums and bubs, and menopause. Develop an in-depth understanding of the practices that stimulate the flow of yin-balancing energy in our bodies. These deep, still, intentional practices work with creating space through the fascia and connective tissue in the body, as well as release stuck energy in our meridian channels. These modules will cover all of the structural and energetic tools necessary to specialize in this growing area of Yoga. Yoga Therapeutics is a rapidly growing field of study as more people turn to alternatives to the western medicinal approach to illness and injury. Learn how to cater in a one-on-one setting to the student’s individualized needs with regard to specialized conditions. This Course will cover in-depth study in therapeutic movement for injury prevention and management, yoga for the aging population, wall and chair yoga, yoga for illness and trauma, and yoga for mental health. The training is in two 8-day intensives. The first intensive is 12-19 January 2019 (both dates inclusive) and the second intensive will be 21-28 September 2019. Wainui Park Camp, Wainui, Banks Peninsula. The cost per intensive, incl. meals and accommodation is NZ$2500. Step into your Power is a means to generate yoga as your way of being. The emphasis is on meditation, a strong vinyasa practice modelled on Baron Baptiste’s Journey into Power sequence, and philosophical inquiry. You will learn a consistent, well-sequenced practice, adaptable to a great variety of levels of experience and ability, and a clear and effective methodology for practice and teaching, and you will have ample opportunity to practice teaching and provide hands-on assists. You will also receive tuition in anatomy and physiology related to asana and movement, breathing, your nervous system and chakras. You will engage daily in discussion relating to yoga philosophy and ethics and the application of principle to your own life and way of being. This training represents a tremendous opportunity for your personal development and transformation at a physical and spiritual level regardless of whether it is your intention to become a yoga teacher. “This will be the fourth year that Hamish and Margo have led this 5-star rated training programme. As one 2018 trainee has said: “I can’t begin to express the depth of my gratitude for this whole new world you have opened up for me… Some great people have influenced my life so far but few to this extent. You have truly inspired. Thank you from the bottom of my heart” – Lorraine. February 22nd – June 2nd, 2019, at Om Yoga Studio, Stonefields, Auckland. Om Yoga Studio RYT 200-hour teacher training is a comprehensive program that will provide the essential knowledge and tools for truly dedicated students who wish to teach or simply enhance their practice and understanding of yogic principles and philosophy. Providing an opportunity to deepen and develop your understanding of yoga, within a program that is internationally recognised by Yoga Alliance. Professional and transformational learning environment. Time spent on learning the asanas (postures) anatomy and biomechanics. Small class size, offering individual attention. Variety of yoga styles, mindfulness and meditation (Vinyasa, Hatha and Yin). The art of using your voice with confidence and authenticity. Ongoing support after graduating, from the lead trainers. Experienced facilitators, together with over 3000hrs of training. 22nd November – 2nd December 2018 or 4th – 14th April 2019 at Anahata Retreat Centre, Golden Bay. Full Course Price: $NZ 2,895.00. Camping Option: $NZ 2,795.00. Early bird pricing available. A professional development course designed for yoga teachers, health and education professionals and anybody interested in a yogic immersion focused on relaxation techniques. Explore tools to systematically address the tensions in the body, mind and emotions, inducing a deep state of relaxation. Yoga Nidra is a key practice to equip aspirants and practitioners with yogic skills and techniques for self-support, as well as for clients and/or students. The methods taught in the training will assist in the release of deep muscular, mental and emotional tension, inducing calmness and clarity for a range of life and health situations. This Professional Development retreat includes a 10-Day onsite module – 3 months training package with MP3 practice sessions and a comprehensive training manual. Once you have completed the residential training, you can choose to stay at Anahata for a residential internship to practice teach and receive guidance from senior teachers.